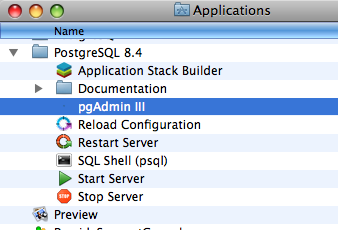 The pgAdmin III tool is located in the PostgreSQL folder that can be accessed from the Start menu. 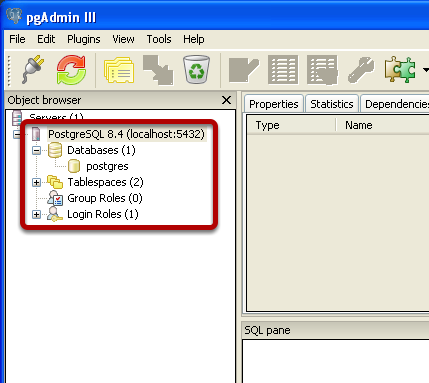 The pgAdmin tool is located in the PostgreSQL folder located in your Applications folder. When you launch the application it will look like this. 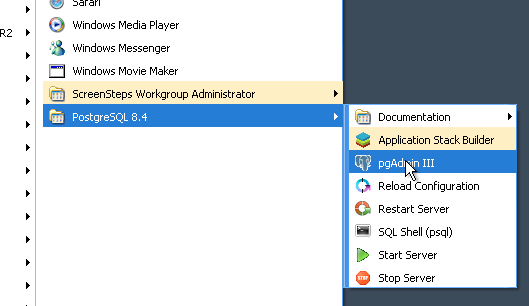 To connect to the PostgreSQL server just double-click on the PostgreSQL entry that appears under Servers. 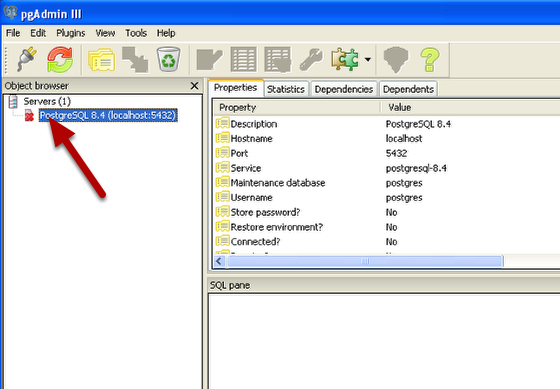 After you double-click on the server you will see a list of Databases and Login Roles among other things. You can now configure the server.